When the self-described skeptic took over as global head of prepaid for Mastercard earlier this year, Andrew Buckley wasn’t quite convinced that the opportunities ahead were worthy of all the hype. Five months later and he’s among the converted, preaching the gospel of democratization—not just of payments but of innovation. 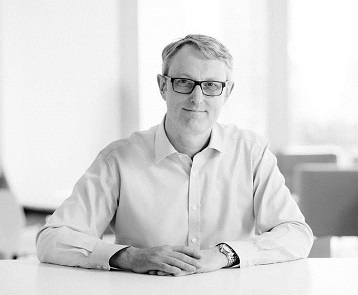 Buckley sat down with Paybefore to discuss his first few months at the helm of Mastercard’s global prepaid team and what he’s come to believe about the future of financial inclusion and the digitalization of payments worldwide. Paybefore: What attracted you to this role? Andrew Buckley: In my last role, I was looking after core products in Europe—commercial, credit, prepaid and debit. I have a background in payments, but a long time ago I was also in tech. What’s really struck me about this role are just the possibilities in prepaid. The business as a whole is growing strongly around the world. For the first-quarter in the U.S., we are ahead of our growth forecast. The reason why is that prepaid is an exciting platform for doing different things—either for more traditional players or more exotic startups. Prepaid has opened up the use cases and is democratizing payments and innovation, and you don’t have to be a big multinational company to take advantage of it. Paybefore: That’s an interesting term, what do you mean by democratization of innovation? AB: I mean that innovation is not just for the very large businesses with huge R&D budgets and teams, but that anyone—a consumer, a business, a government even—can innovate for themselves because they know what they want and need. And they don’t have to develop everything they need on their own: They can benefit from innovations developed and freely shared by others. Democratizing innovation is about enabling more parts of the ecosystem of any service or industry to serve themselves of technologies and the infrastructure in an open way that gets new solutions and products faster. Paybefore: What are some examples? AB: Prepaid is exciting on both a business and human level. Take fuel cards, for instance. Small and big businesses can use fuel cards that from a regulatory structure and value proposition are superior to credit. So for businesses it’s exciting, but on a personal level, prepaid is an on-ramp for consumers who may not have had a financial product before. I met up with a gentleman in Kenya who has received a card through the Huduma government program. He said when he first got the card, he would go and check the balance at the ATM even though he had no money. He wanted people to see him at the ATM. It was a status symbol, but, more importantly, access to financial services has given him and many other consumers hope. Paybefore: How are prepaid markets different across geographies? AB: It’s quite a rich tapestry. The U.S. is mature in certain segments—payroll and government—but you still have huge opportunities to bring financial products to new groups and there are still a lot of payouts in checks that we can replace. There’s a Canadian author William Gibson who said, “The future is here now. It’s just not evenly distributed.” I think that’s where we are in prepaid. We see a huge number of verticals growing very strongly: travel, particularly in the Middle East and Africa; government programs, payments to students and really interesting digital areas. The future is so bright, I’ve got to wear sunglasses. I’m not saying everything is going well. Often you have programs that are struggling because they need to make the next big leap. We’ll see a big wave of digitizing the delivery and issuance of cards, which will transform the customer experience and transform the economics. Paybefore: What else do you see influencing the market? AB: The handheld supercomputer, our smartphone, is transforming so many aspects of our lives. I think in the future, we’ll look back and see tokenization and tokenized cards as a turning point, whether it’s enabling payment through a contactless mobile wallet or a QR code. It’s about how we enable these payments securely and how we establish the standards to enable everyone to drive innovation. As a network, we’re investing heavily in that—democratizing innovation. For example, our Start Path program is quite a big program of working with fintechs to help scale their businesses. From a prepaid perspective, we try to identify technology we can use and help them use prepaid in their business plans. Paybefore: What technology excites you? AB: A couple things really stand out to me. There are some clever pieces of middleware that cut the time to innovation. We’re working with a number of partners across the ecosystem to shorten the path to innovation. We’re democratizing the Internet of Things and contextual payments and prepaid has a really important role to play. AB: We do a lot of consumer research and my own personal view is that hell is going to freeze over before consumers are going to be comfortable putting their debit cards and, in their minds, access to their full finances in their tennis shoes or their cars. It’s not going to happen. But if they have a prepaid card, they can ring fence their risk. It goes back to tokenization, which is a big step forward to drive security. So, if we do put a payment product in your sneakers or your car, it’s not going to have your sensitive data there. If your pair of shoes or your car becomes an IoT-enabled payment device, you want to be sure the card number can’t be stolen—and that’s where tokenization solves the problem. And you want to be sure that if worst happens and the device itself is stolen that the fraudsters can’t clear out your checking account. That’s where a prepaid (jam jar or ring-fenced) payment card or tool solves the problem. Paybefore: Prepaid is also a big part of Mastercard’s commitment to financial inclusion. What does the prepaid industry need to do to bring more consumers into the financial mainstream globally? AB: We have to think about how we can enable more mobile money. We have to digitize as much as possible on the spend side and on the acceptance side. That could mean QR code stickers for the merchants, wherein the shopper’s phone becomes the POS device when it scans the merchant’s code. We’re seeing some exciting things around that because it slashes the cost of acceptance. Given the penetration of smartphones, payments on phones and digital delivery, these kinds of things really open up our ability to serve different segments than we have before. Paybefore: What has surprised you most since you took on this role? AB: I was speaking to my predecessor Michael Fiore and teasing him that he left me with all of these great ideas that I had to deliver. When I took this over in January, I thought Fiore was a bit optimistic. Now I see that we really do have an exciting pipeline and hand on heart, I can’t wait for you to see the announcements because we’re doing some really interesting things that can genuinely change things for the better. Pilot in Nigeria is start of larger plan to get more businesses into their version of digital economy. Ummah Finance rebrands as MoneeMint to bring "fresh banking experience" to millennials. Payments startups usually boast about their ability to future-proof their technology. For U.K. payments startup Curve, a big part of its appeal is helping users go back in time.